Ok, we've accepted that airplane seats are hotbeds for E.coli. We've sort of accepted that our favorite beach spots are too grimy to swim in. But now it turns out that even hospital elevator buttons are rife with bacteria, in fact they're dirtier than toilets (which makes total sense because you can just picture all the unclean, greasy fingers pressing themselves up against those shiny knobs) and dude? I'm just about ready to wrap myself in plastic and change my name to Bubble Girl. In a study published recently in the journal Open Medicine, scientists compared 120 elevator buttons to 96 toilet surfaces in three Toronto hospitals, and the results are grim. 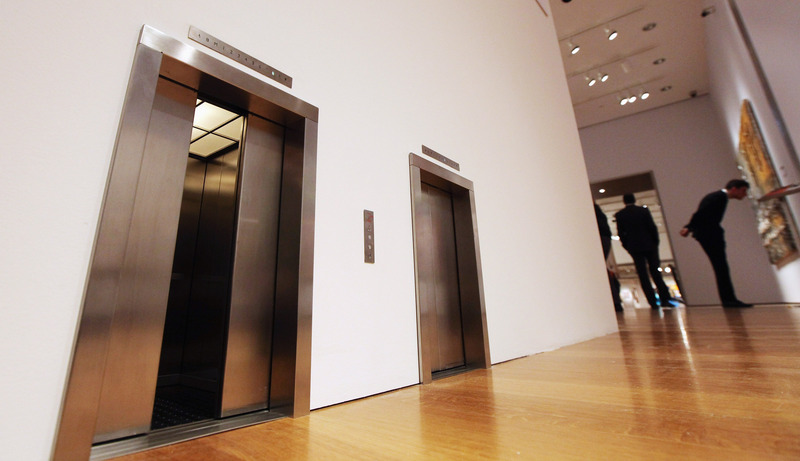 A majority of the elevator buttons — 61 percent — were teeming with bacteria; compared to only 43 percent of the toilet surfaces tested (which included the door handles, both inside and out, the toilet flush and the cubicle lock.) According to the CDC, roughly 1.7 million people get infections in hospitals in the U.S. every year; the Committee to Reduce Infection Deaths claims that, in reality, that number is way higher. Clearly, it's easy to see why. The principal motivation for our study was that elevators inside modern hospitals are ubiquitous and active and an essential part of patient care and are colonized by bacteria to a degree that's actually slightly greater than a toilet and potentially a contributor to hospital-acquired infections that all might be completely avoided through better hand hygiene. What's really, really gross? As covered with bacteria as the elevator buttons are, Voxx points that they're still cleaner than hospital computer-keyboards. Luckily — one ray of optimism! — the particular type of bacteria they found was pretty harmless. “We observed that the majority of elevator buttons were colonized by bacteria that were not pathologic in most cases — but the overall prevalence rate exceeded toilet surfaces,” Redelmeier said.